The stylish Vino Pins metal wine rack now comes in a two-bottle Magnum kit. 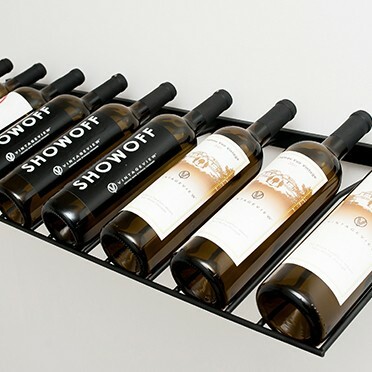 Mount your larger format bottles in double-deep configuration, direct to any wall surface with our proprietary anchor systems. 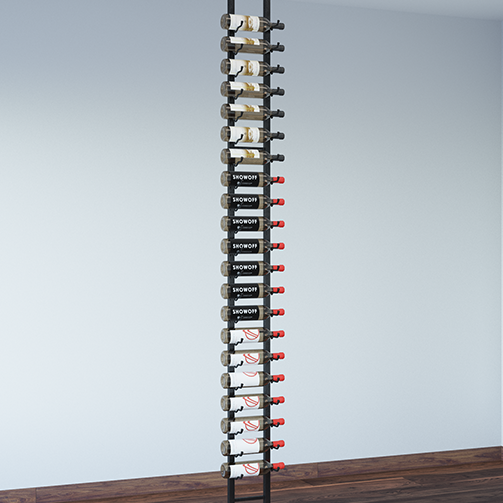 This wine rack kit offers a stylish and minimalist approach to wine storage for both private and commercial collections of any size. 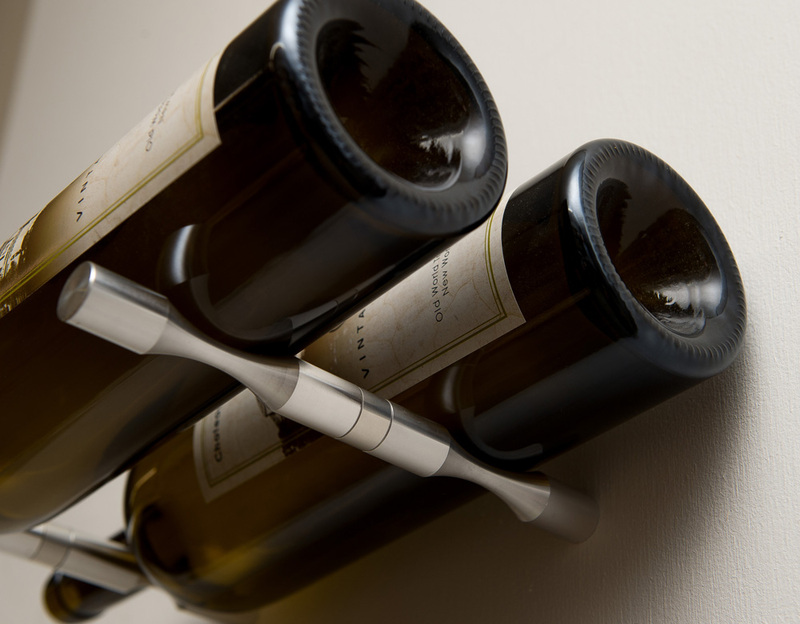 This is the only metal wine rack peg system that can mount direct to drywall, masonry or wood — no backer board needed. Combining our Vino Pins starter set with a spacer, extension set, and the magnum layout guide, you can show off your bigger bottles in style. 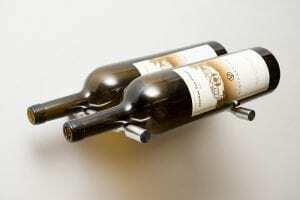 This configuration works for Champagne bottles, too; use the included standard bottle layout guide. Aluminum mounting collars available (required for all drywall installations). 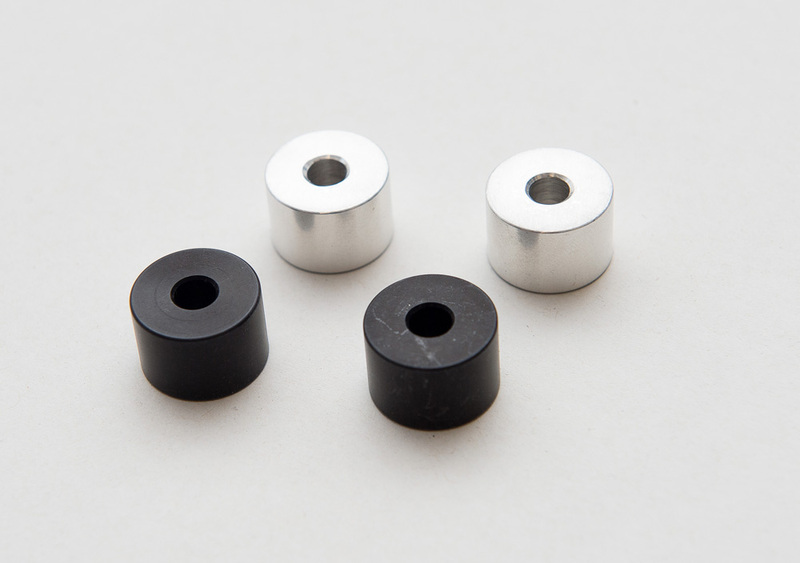 This is the same product as the Vino Pins Two Bottle Set but it includes the magnum layout guide and a spacer.